For those following X-Factor Sam Bailey will be a familiar name. On Sunday night she was crowned the winner of X-Factor 2013 in the UK having received over 1 million votes. For those not up to speed, all you need to know about Sam Bailey courtesy of Excite UK. 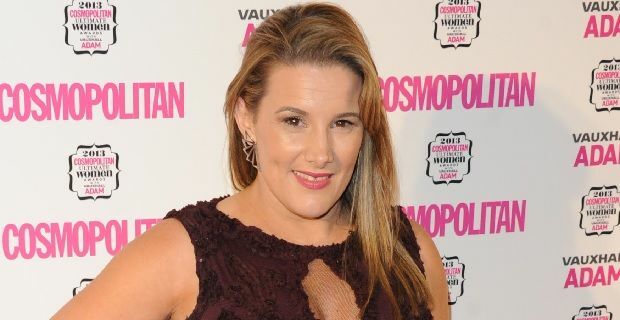 Sam Bailey was born Samantha Bailey in Bexley in 1977. She went to Bexley Arts College. She became a prison officer and is married to Craig with whom she has two children - Tommy who is four and Brooke who is eight. She is a huge Leicester City fan and a number of Leicester City players attended the X-Factor final to see her perform. Sam first auditioned for X-Factor back in 2007 but did not make it past the producer audition round. In 2013 she returned and at her Room audition she sang "Listen" from Beyoncé. She blew the judge’s away and went on to sail through the arena audition with her performance of “Who’s loving you”. She was placed in the Over 25’s category where she moved through boot camp and onto judge’s houses where she was mentored by Sharon Osborne who selected her for the live shows. Her two fellow Over 25 contestants Lorna Simpson and Shelly Smith exited the competition at the early stages of live shows and so she became the only over 25 left competing. She was not without controversy as during early stages she was accused of misleading the public in relation to her lack of singing experience when in fact she had experience singing on cruise ships, in clubs and at festivals. She defended herself and given her recent win it is probably safe to say the controversy did not affect her. As winner of X-Factor Sam Bailey just yesterday released her winner’s single, a cover of Demi Lovato’s Skyscraper, digitally. She will release the physical copy on 18th December and will be vying for the Christmas number one next week. As winner of X-Factor she will also support Beyoncé on the UK leg of her Mrs Carter Show World Tour and she will take part in the X-Factor tour in early 2014. After that, time will tell how successful she will be as an artist. Part of her prize is a recording contract and it is rumoured that she will release her album as early as March of next year. This will either catapult her into stardom or her career will nosedive right back down to earth and she will be back at home with her kids, perhaps back in her role as Prison officer. Anyone taking bets?